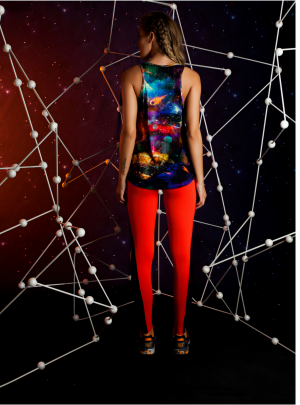 Kenia Cariello ‘Vibration’ t-shirt is stylish to be dressed up or can be worn for active sports. Made with bamboo, it is anti-bacterial, soft, it drapes beautifully and is UV protecting. Magnus top with hood from Brazil Very stylish, lightweight fabric in unique design. Perfect for all sports or after sports. BrasilSul inspired by the sea “Waves of Joy” singlet. Made from natural cotton plus elastine providing flexibility and comfort. Soft & fluid to wear plus durable for all kinds of exercise but great for casual wear as well. Very cool ankle socks in hot pink. Perfect for those cooler days with the double lining through the front for extra comfort & warmth. Can be worn for after sports or for all active exercise. CCM Dover singlet is stylish and practical and perfect for all active sports or as a casual top. Exclusive print from CCM with stunning bright colours. Fast drying made from a stretch fabric that wears and drapes well.